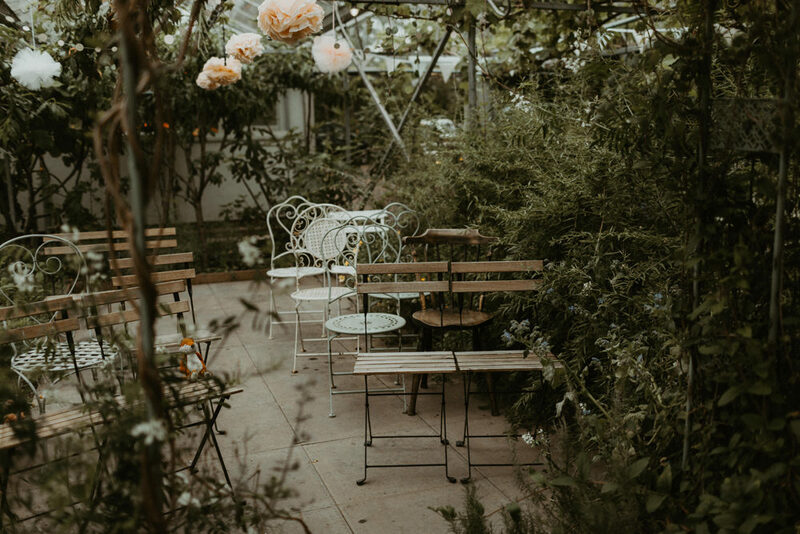 Glasshouse weddings are right at the top of my list of favourite things at the moment – this stunner from The Secret Herb Garden in Edinburgh is just so pretty and so full of emotion, it has genuinely made my day putting it together. And I’ll be totally honest, I *may* have cried while looking at some of the images from The Hendrys. 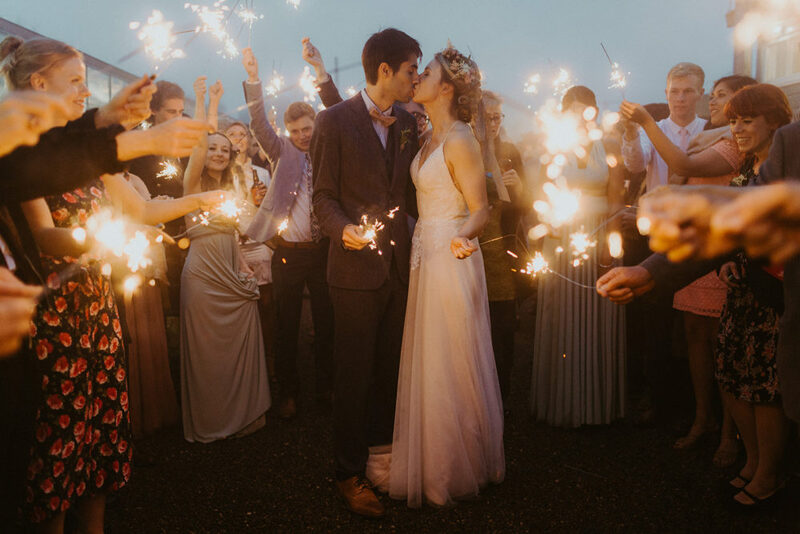 They have truly captured the magical atmosphere and the energy radiating from the photographs feels electric. 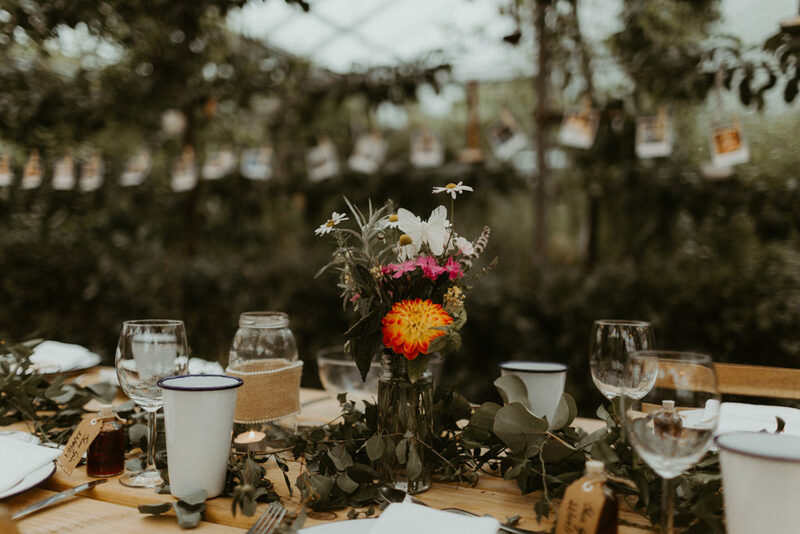 As you’d expect this is a wedding just brimming with plants, foliage and gorgeous blooms so you’ll probably need to have your Pinterest account ready…just saying. Gorgeous bride Steffi totally would, she’s a girl after my own heart with Pinterest boards created before she even had a ring on her finger. Well I’m pleased to report that her wedding day more than lived up to expectations, it’s absolutely stunning and clearly just so full of love. Steffi the Bride: I was one of those brides who had a Pinterest board long before Rob proposed. I knew from the get go that wherever we chose to get married, I wanted there to be a ridiculous amount of flowers. 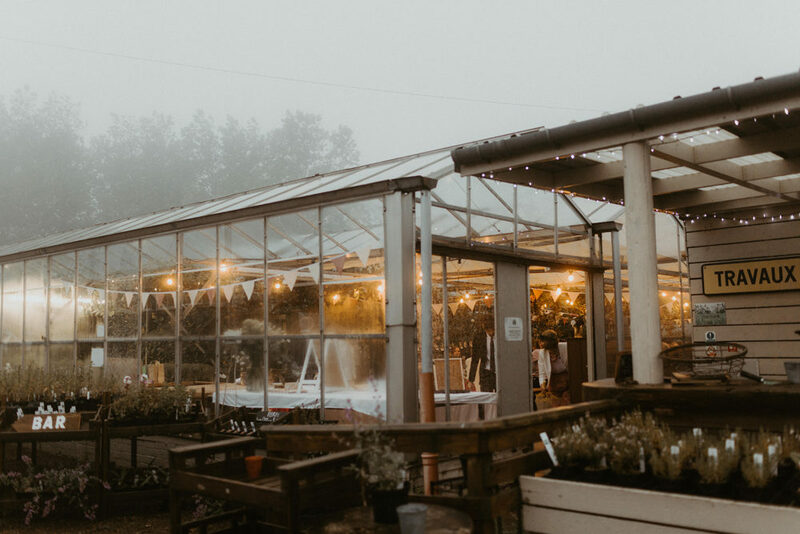 So when we came across The Secret Herb Garden, we knew it was the one. The idea of being surrounded by so much green made me so happy. Rob loves to cook and takes his herbs and spices very seriously, and so it felt like there was a little bit of both of us in the venue. 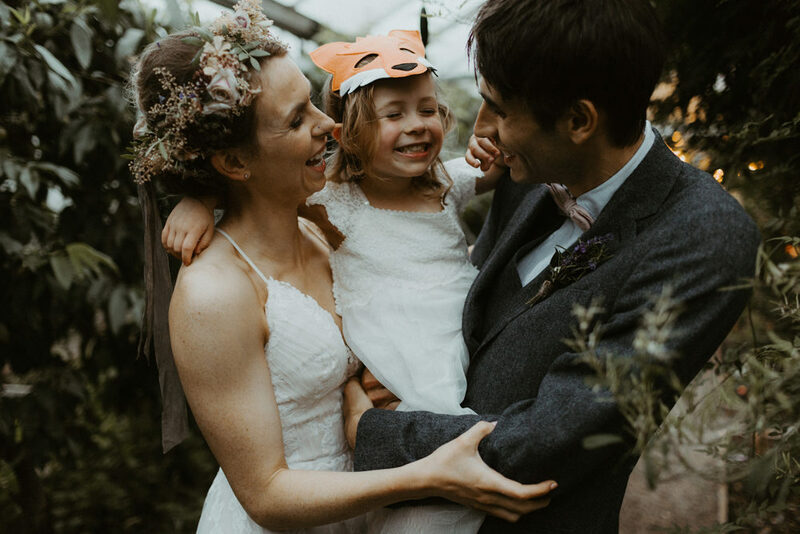 The general theme was a summer woodland, including my own little fox, and our colours reflected that with lots of sage (to cover both herbs and greenery) and blush pinks! 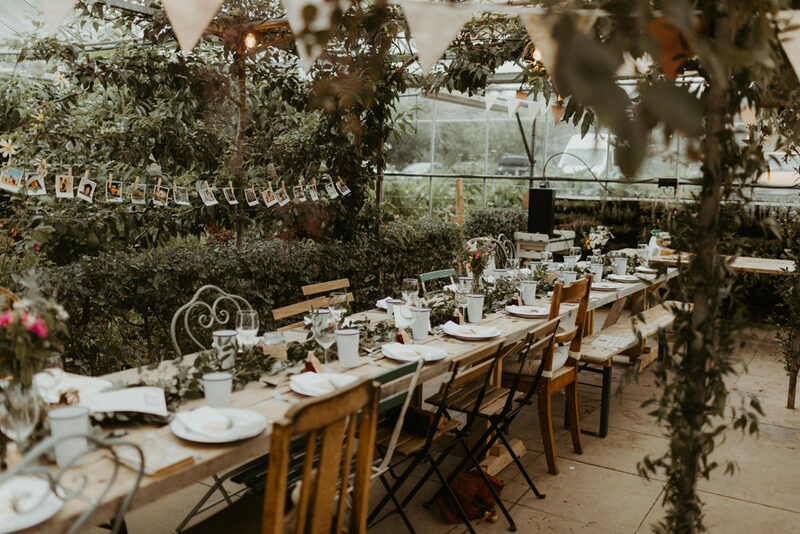 The venue was already so beautiful but Rob’s best man (and one of my best friends) Carla handmade all the bunting and wooden signs, and the rest was a joint DIY by me and Rob! My friend Katie sketched a beautiful drawing of me, Rob and Cleo and Rob then made this into all our stationery. I had this great idea that I would be super crafty but I realised too late in the game that I was not the most artistic. I am so grateful for my talented friends! The next thing I planned was my florist. It was important that I found someone who shared my love for all things woodland and so Natasha was the perfect fit. 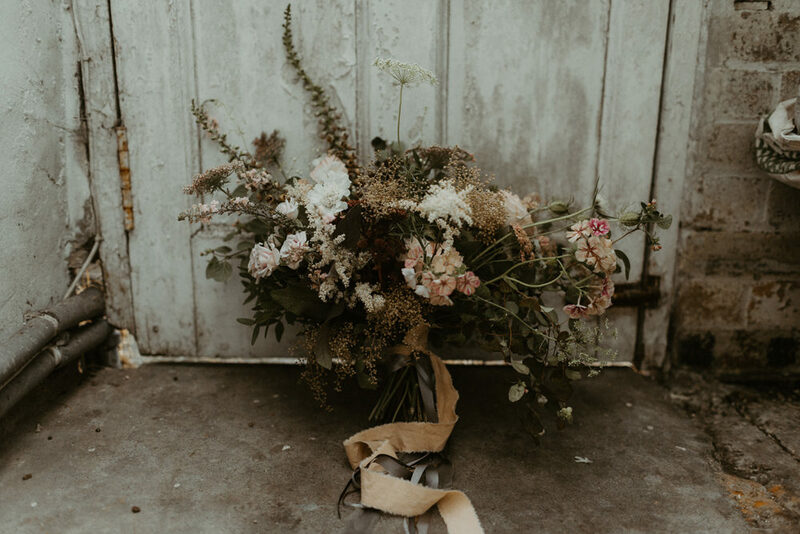 She took an idea and created the dreamiest blooms, full of natural British flowers and foliage. 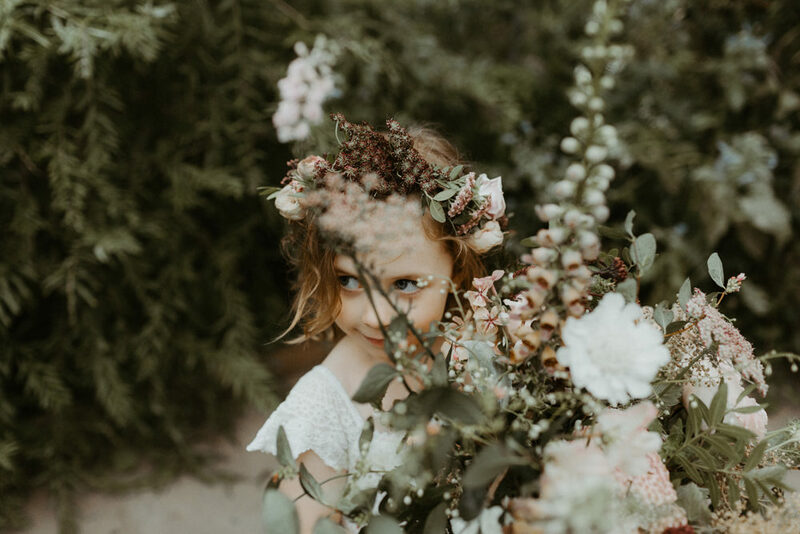 I adored my David Austen roses and flowing blush plant dyed ribbon, and the fact that my daughter had a flower crown to match me completed it all perfectly. I went dress shopping with two of my oldest friends, who I knew my style and would give me an honest opinion. 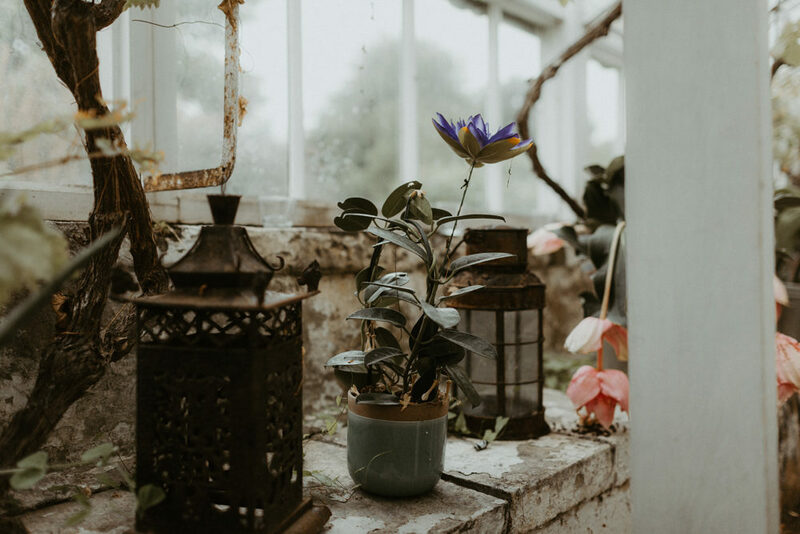 When I went into Melle Cloche in Glasgow, sisters Jaq and Lisa made us feel so comfortable and relaxed. 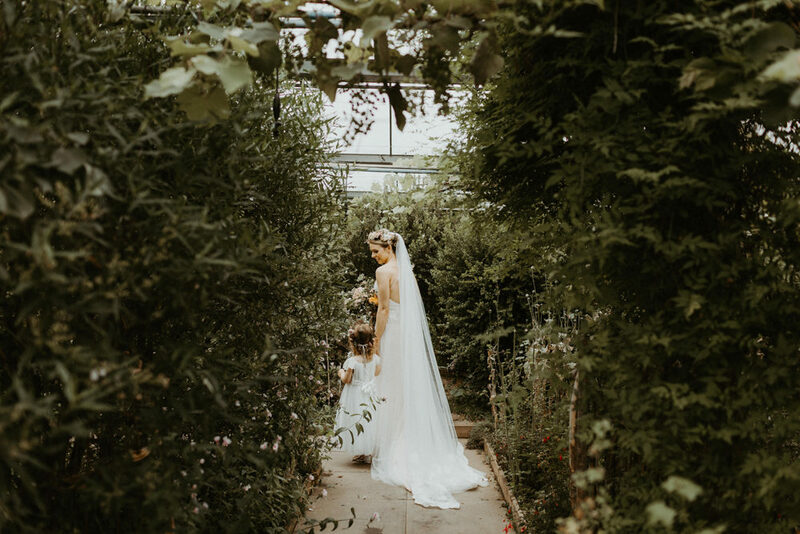 We browsed the rails and I picked out 5 dresses – and it turned out they were all the same designer! I clearly had a style. I tried on a few but when I found out that Ti Adora were having a trunk show later with all their collection I booked straight back in. I ended up with the first dress I tried on, except in an incredible blush tone. It was the one. My bridesmaids dresses were also from Melle Cloche. 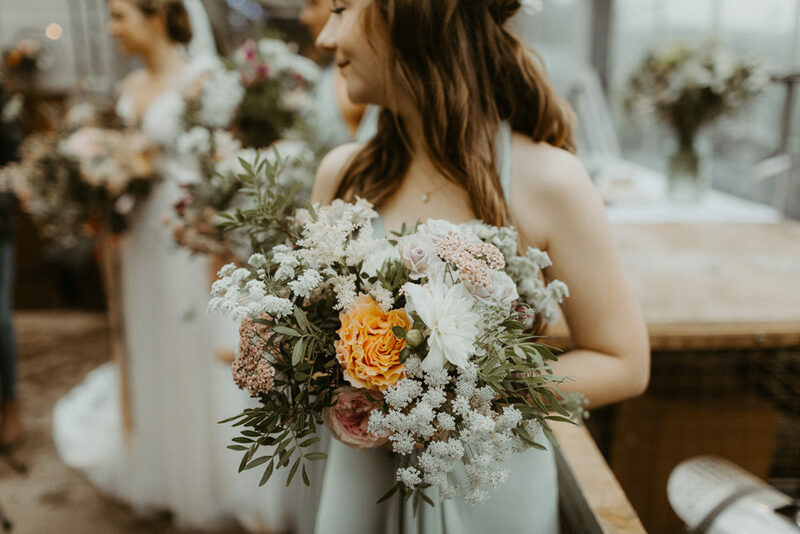 I wanted something that would suit them all, and would suit a pregnant bridesmaid too! So the two birds dresses were exactly what we needed. Rob knew he wanted a wool suit and a bow tie, but that really was his only specification. He ended up finding the perfect suit in the Reiss sale and we found a dusky pink bow tie on Etsy. He looked so handsome and everytime I looked at him it made me so proud to be marrying him. We had a humanist ceremony and this meant it was really personal to us. But even more personal was the fact that two of my best friends provided our ceremony music. My little girl walked me down the aisle to George Harrison’s If Not For You (the song Rob always said we’d get married to). For our signing they sang ‘To Build a Home’, and to finish they did ‘First Day of My Life’ by Bright Eyes. It was so beautiful and emotional! We picked a reading each, and my friend Siobhan read E.E. Cummings, ‘I carry your heart’ and Rob’s sister read Pablo Neruda ‘Sonnet 4.’ For evening music we just made a playlist on spotify and danced wild in the barn! 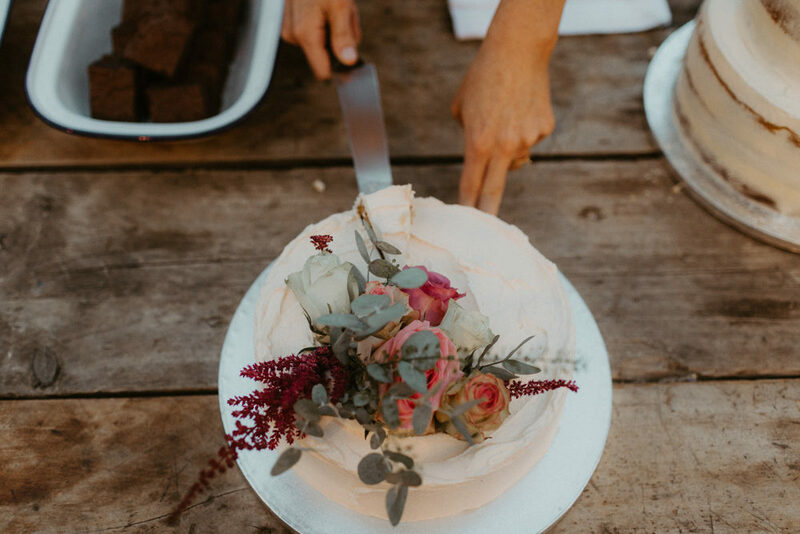 We are big foodies, so food and cake was something we took extra care in deciding. In the end we went for Edinburgh Larder to cater for us with a buffet style, had stone baked pizza by Pizza Geeks in the evening, and cakes were by Bakery 47. There was an abundance of food, and all our guests got to take some home for the morning after! As for photography, we knew we wanted something relaxed that would capture all the bits of the day we missed. 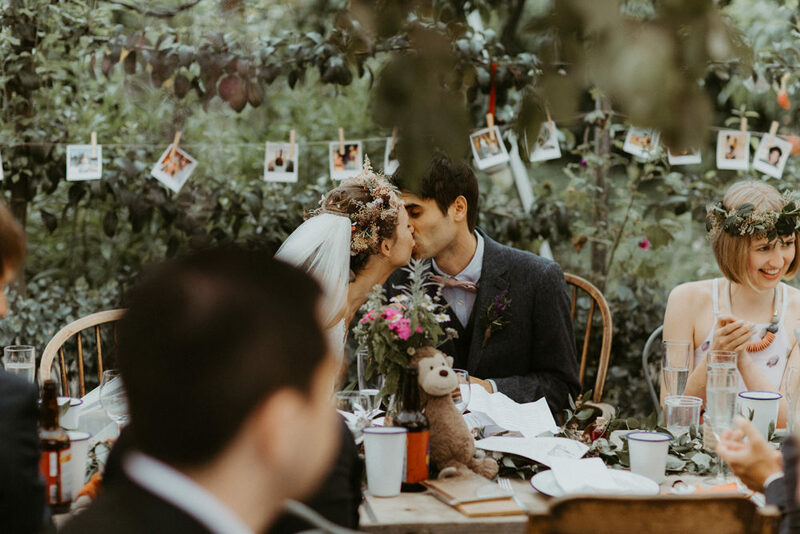 The day goes so fast and it all seems a blur, so we both really wanted photos that would be memories of the actual day, with minimal posing to take us away from our guests. 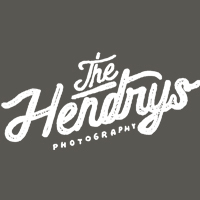 We found The Hendry’s and instantly fell in love. They are wizards at catching all those tiny moments that would normally be missed and made Rob and I feel so comfortable. 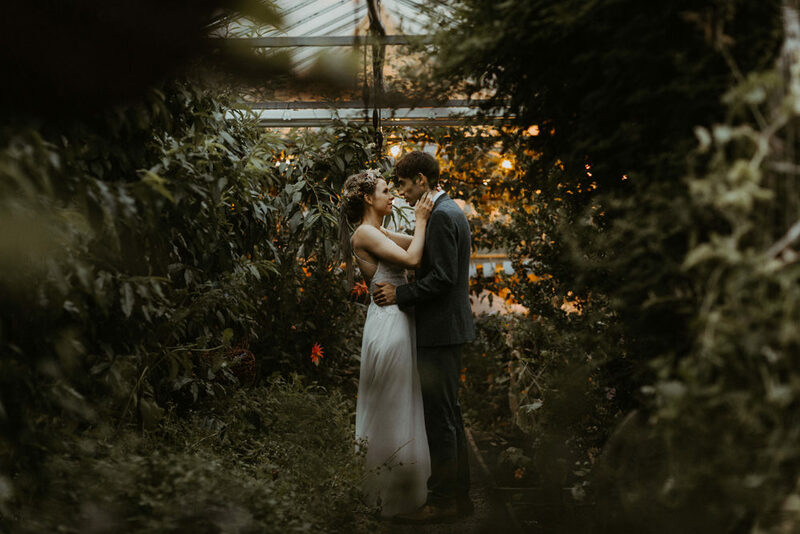 Their style is the gorgeous moody and romantic style that is just perfect in Scottish weather. 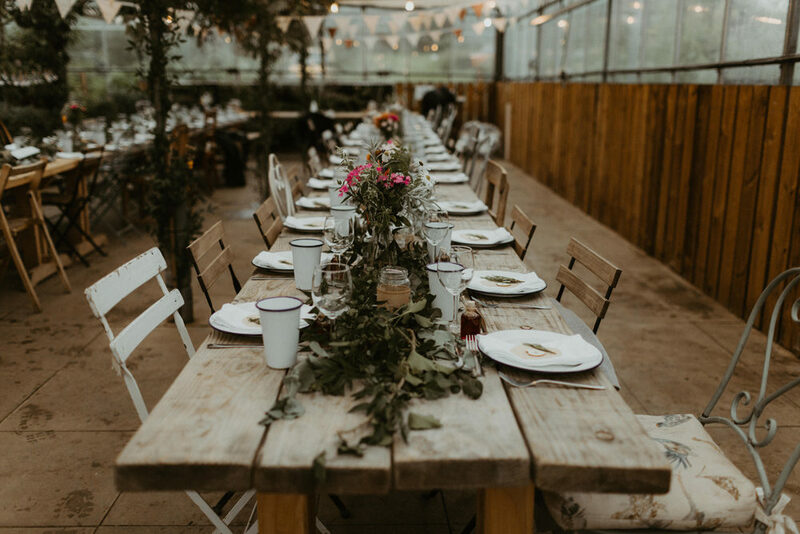 If you are on a budget, I would seriously say never ever save on photographer – it’s the most important part and other than the actual marriage, it’s what is left over. I loved my wedding day. I loved how my closest friends were so much a part of the ceremony. My Chief bridesmaid even surprised me with a rap (To the tune of The Thong Song). It rained, as it did nearly every day of this summer, but it left the coolest atmospheric misty dusk. And nothing could have taken away from all the love I felt for my wonderful family.